Another great annual conference is in the books for UConn Extension and the Connecticut Agriculture Experiment Station. 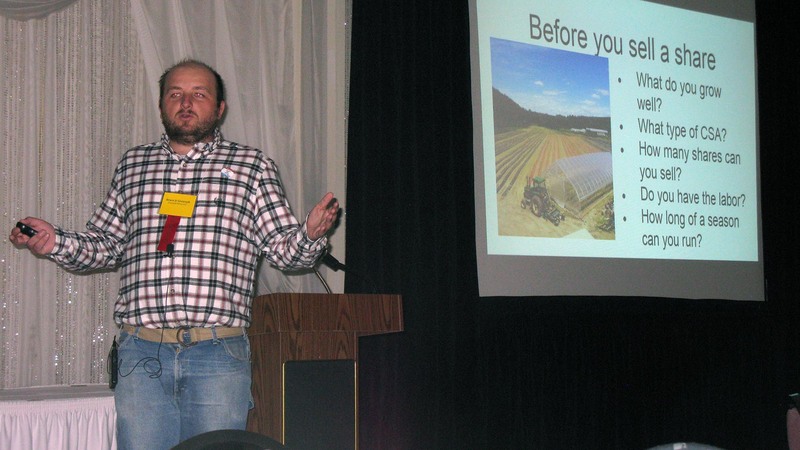 266 growers, agricultural exhibitors, and educators came together Monday January 11th at Maneely’s in South Windsor for a session filled with valuable information in which growers will take back and apply to their operations. Topics covered included how to comply with labor laws, heat treating seeds for disease management, the effects of environmental extremes on crop physiology, weed management in berries, irrigation, how to grow for a CSA (Community Supported Agriculture), and the brown marmorated stink bug (BMSB). The crowd was also given some great updates on risk management and crop disaster assistance programs from USDA-Farm Service Agency given by Bryan Hurlburt, grant opportunities from the Department of Agriculture given by Commissioner Reviczky, Worker Protection Standards given by Candace Bartholomew of UConn Extension, and updates on the Food Safety Modernization Act given by Diane Hirsch, also from UConn Extension. The growers who were licensed Pesticide Applicators received 3.5 pesticide credit hours from this event. Not only were the talks great but so was the tradeshow. Coming from all New England states, New York, and Ohio 43 exhibitors represented 26 organizations. 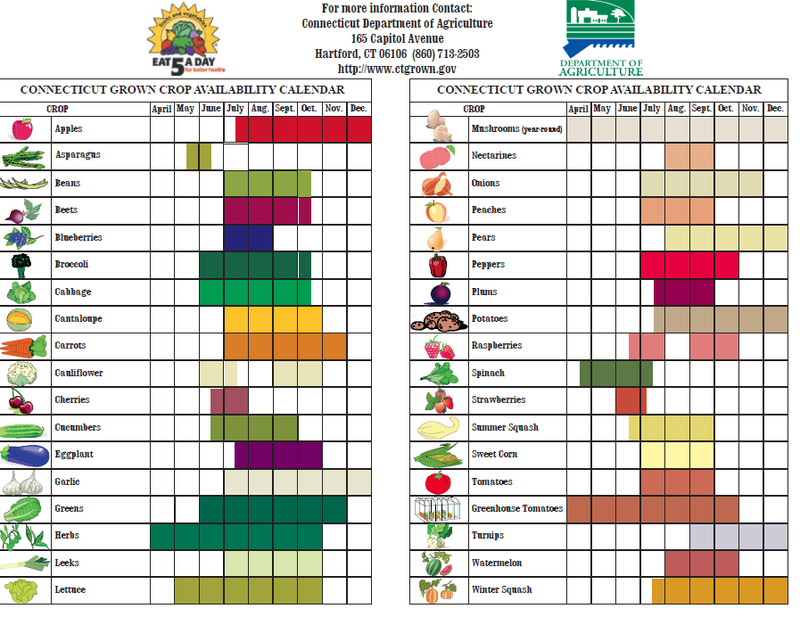 These ranged from seed companies to agricultural service providers as well as the UConn publications stand where growers could purchase beneficial publications such as the “2016-2017 New England Vegetable Management Guide”. The crowd also enjoyed a delicious locally sourced lunch on Monday. Locally grown and made products were provided for the conference from 8 businesses in Connecticut. The conference received outstanding ratings and positive feedback through the evaluations where 95% of the recipients rated the program as “excellent” or “good”. Winter may have been unusually cold and long this year, but there was a sunny and green oasis at the 4-H Center at Auerfarm. Spinach and herbs grew throughout the winter, to be joined by all manner of vegetables, herbs and flowers as the seasons shifted. 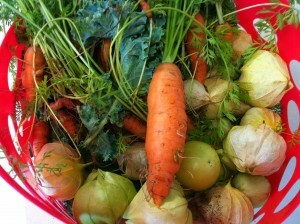 Over the last year students planted seeds, weeded the ground-level beds and sampled fresh produce right from the source. The first killing frost is no longer an end to the growing season; it simply signals a shift into the new greenhouse. Funded by an anonymous $50,000 grant, the 20 x 48 foot polycarbonate rigid-walled structure provides both in-ground and bench-top growing space, along with room for classes and demonstrations. 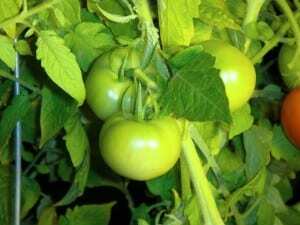 While heated, it is being run as a “cold house” with minimal non-solar heat in the winter, yet stays warm enough for several cold-hardy plant varieties. On a sunny January day, it feels like July! The building is home to a variety of programs and events. Area schoolchildren take part in Farm to School programs, and Junior Master Gardener (JMG) participants learn about how plants grow, do plant science experiments, and plant and harvest produce. Teachers receive JMG program training to bring gardening and environmental hands-on curriculum back to their schools. 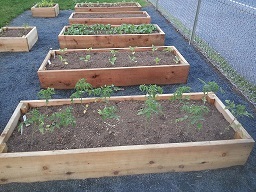 Along with the specific youth programming, the greenhouse also hosts programs for the adult UConn Master Gardeners who help grow plants for the Foodshare production garden on the farm. 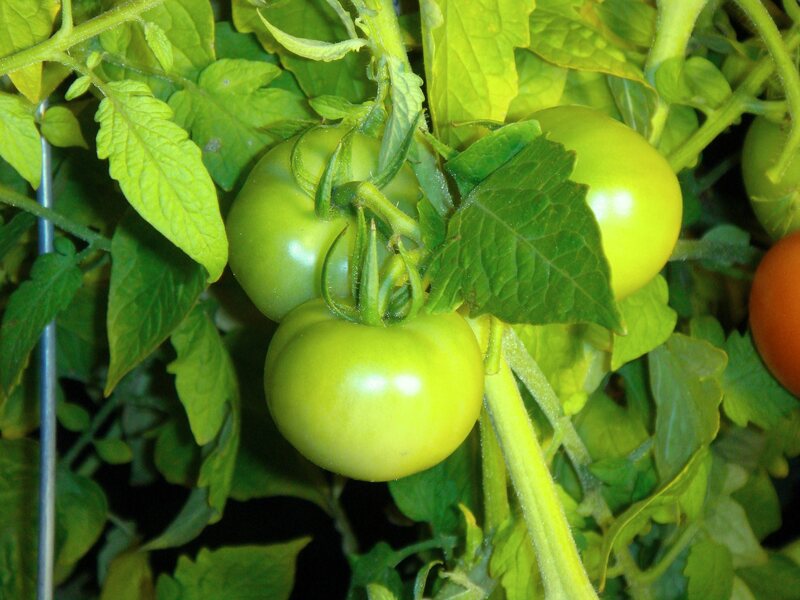 Additional growing space and an extended spring and fall growing season have allowed for additional gardening and food-related events throughout the year. An additional benefit has been the creation of venues for multi-generational experiences. Currently under development is a series on Gardening with Families along with a Saturday program on gardening and the environment for youth. 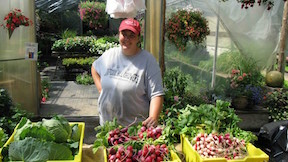 Jude Boucher of our Vegetable Crops Integrated Pest Management (IPM) Program has had a busy summer. He helps commercial vegetable growers find sustainable solutions to pest problems. 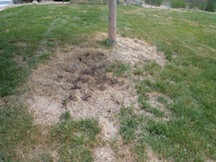 The program emphasizes healthy soils, balanced plant nutrition, proper pest and beneficial identification, scouting and monitoring techniques, preventative management strategies, reduced-risk pesticide selection and application, and resistance management. This summer he worked with farmers across the state, including Daffodil Hill Growers in Southbury and the Enfield Prison. 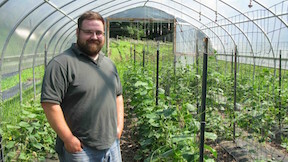 Daffodil Hill Growers is part of UConn Extension’s Scaling Up for Beginning Farmers program. Sara Blersch of Daffodil Hill Growers. Jude Boucher photos. At St. Luke’s food pantry in Bridgeport UConn Extension reaches SNAP recipients with healthy eating tips and recipes. 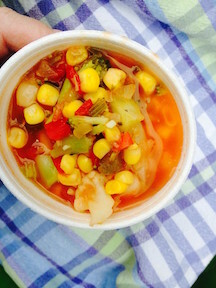 Heather Peracchio made minestrone soup with attendees. Canned vegetables are best for our health when labeled “no salt added,” or if you have regular or reduced sodium rinsing and draining the veggies or beans can help to remove up to 40% of the sodium. Here is the recipe. UConnExtension’s Heather Pease worked with students at the New Britain CREC Medical Professions and Teacher Preparation Academy to make meals for children ages 6-months to 12-months. Some food groups are not represented because they did not have access to all food groups. The focus was on portion and texture of mainly vegetables, fruit and cereal. They also learned how to make formula and the importance of measuring. A special thank you to teacher Julia Porter for all of her efforts on this. UConn Extension’s Scaling Up Program created a video series on farmers in Connecticut. 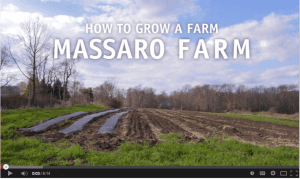 This film features Steve Munno of Massaro Community Farm in Woodbridge.